An Italian police officer has told a court he witnessed his colleagues beating Stefano Cucchi, who died after being held in police custody in 2009, in a major breakthrough in a case that has gripped the nation. 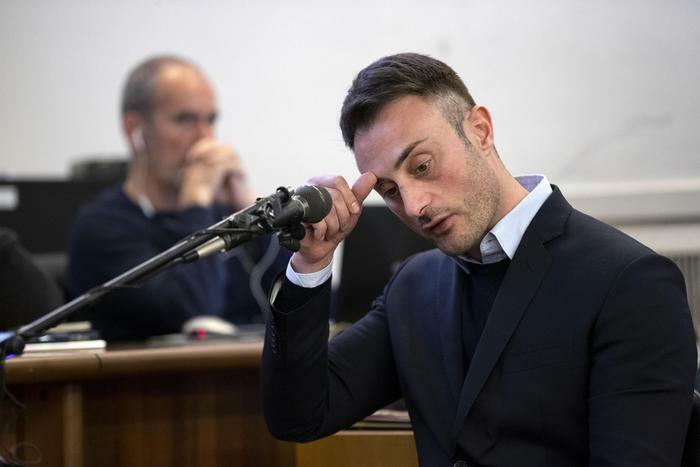 Francesco Tedesco, one of three military police officers charged with Cucchi’s murder, told a courtroom in Rome his colleagues had kicked and punched the 31-year-old in the face repeatedly, causing his death. Tedesco also alleged he had been threatened by officials who told him to stay silent and conceal his report about the incident. “I apologise to the Cucchi family,” Tedesco told the court. Cucchi was arrested on October 15, 2009, in a park in Rome. He was carrying 21 grams of hashish and three bags of cocaine at the time. A week later, he died in a room at Rome’s Sandro Pertini hospital, where he was being treated for injuries including two fractured vertebrae and a broken jaw. The entire nation was left shocked by Cucchi’s death after photos of his bruised corpse, which weighed just 37 kilograms at the time, were made public. Tedesco was one of three police officers charged following Cucchi’s death. The police officers involved in the case had previously been acquitted in 2014 due to a lack of evidence, but the case was reopened by Italy’s Supreme Court of Cassation a year later. A muro di omertà, or “wall of silence”, from authorities meant it was impossible to determine who was responsible for his murder. Cucchi’s sister, Ilaria, has led the fight for justice in her brother’s murder, in what has become a decade-long battle with the judicial system. A breakthrough came last October, when Tedesco began to collaborate with prosecutors, confessing the details of the murder. Tedesco revealed the existence of a service note written by him in which he related the alleged abuses perpetrated against Cucchi. Tedesco said the service note was made to disappear on the orders of military police officers, who are now under investigation over a cover-up. “I was alone, backed into a corner,” Tedesco told the court this week. Ilaria Cucchi said this week that after 10 years of lies and cover-ups, truth had come to the courtroom. “Today, we finally feel less alone,” she added.